College Moving Nerds was founded by local college students to compensate for tuition, living expenses, as well as our dreams. Our mission is to create a stress-free moving environment by providing affordability, reliability, and efficiency. These values will ensure that we deliver superior customer satisfaction on every move! We provide labor-only assistance throughout the Dallas-Fort Worth Metroplex. Looking for a moving company you can trust? Well you have come to the right place! At Mid Cities Movers we do everything we can to provide the best moving services in Dallas, Fort Worth and the surrounding areas. 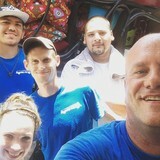 Want to learn more about us at Mid Cities Movers in DFW? Feel free to contact us anytime. We look forward to showing you why we are a highly trusted moving company in the metroplex. We’ve been servicing the Dallas / Fort Worth Texas area for over 20 years, and are committed to keeping our status as the #1 chosen moving company for 10 years running, by delivering you the highest quality workmanship at the most competitive prices. 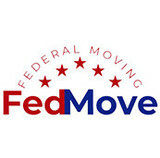 We are not just a local mover, we also specialize in long distance moving in Texas and beyond. We are the best movers to call when you want a fair price and prompt service. Mid Cities Movers will make sure that you get the best advice for planning your moving day. And we will only send movers that have a high level of dedication to quality work. Our highly skilled moving specialists will make sure that all the bases have been covered where your moving job is concerned. We want your moving day to be as painless for you as possible. Let us take the pain out of moving for you! We are fully licensed and insured and our staff of movers at each of our locations will make sure you receive the prompt attention you deserve. With 24 years of experience we are able to provide our moving customers with FREE Phone Moving Estimates and Same Day Moving Services. Specializing in long distance moving, corporate moving and residential moves, we are a full service moving company you can count on! 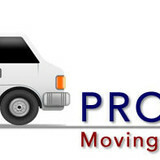 At express moving and delivery we strive to provide quality moving services at an affordable price. With over seven years of experience and with a variety of skill sets such as furniture and appliance set up; as well as professional art and television hanging we know that we can satisfy all your moving needs. As a well-established force in the shipping industry for over 30 years, we know how important it is to find a trustworthy, punctual, and a dependable company that can provide exemplary service. In 1999, Carlton Ward was just like most firefighters who worked a grueling 24-hour shift, only to turn around on their 48 hours off to look for ways to supplement their income. This led to firefighers taking on many part time and other odd jobs that didn’t recognize their outstanding loyalty and dedication to helping the public. That’s exactly why AWard Moving Services, Inc. was founded – to give back to local Dallas residents while helping firefighters care for their families. Award Moving Services, Inc. is based on the belief that our customer’s needs are of the utmost importance. Our entire team is committed to meeting those needs and we are always willing to go above and beyond the call of duty. We are on time, reliable and ready to help you with your move! When you select a moving, we understand that you're looking for a combination of experience, care, and great service. D-Town Movers offers all this and more. We pride ourselves on providing you with a great moving experience at an affordable price. Let D-Town movers take the stress out of your relocation. Big or small, local or long distance, we provide affordable, reliable moving services in Dallas and the greater Metroplex, including Fort Worth, Mid-Cities, Arlington, Garland, Mesquite, Plano, and beyond. Families and business from North Texas rely on D-Town movers for professional, courteous service and a smooth experience from start to finish. Contact us for your free quote or to schedule your move. 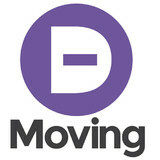 Woman owned moving company raising the bar for movers in DFW. We move full house or apartments. We provide a quality assurance visit on every move to ensure customer satisfaction. Clear, transparent, competitive pricing. We move furniture, appliances, pianos, disassemble and reassemble furniture/bedding, unhook and reinstall appliances. There are a lot of Dallas movers to choose from. 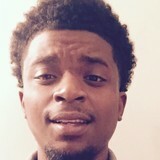 How do you know that the mover you choose will provide you with exceptional customer service? When you hire Bekins Moving Solutions, you know that you are getting the absolute best moving service in Dallas. We provide a seamless transition from one location to another, along with friendly and professional moving services. Our Dallas movers are experienced in a wide variety of residential and commercial moves. From office relocation to overseas moving, we can assist you. Call our office today for a full list of our moving services and other options we can provide to make your move easier. Texas Pro Moving & Packing Co. Relocating to a new house is stressful enough without having to worry about the logistics of an entire move. So when it comes to the heavy-lifting (literally), leave it to the professionals — professional movers, that is. Experienced Lewisville, TX moving companies consist of expert movers and packers who can efficiently pack, move and assemble your Lewisville belongings to ensure that you get off to a good start in your new home!